Great players can do unimaginable things on the basketball court. And most of the time, the unimaginable shots that they did on the court will never be forgotten. 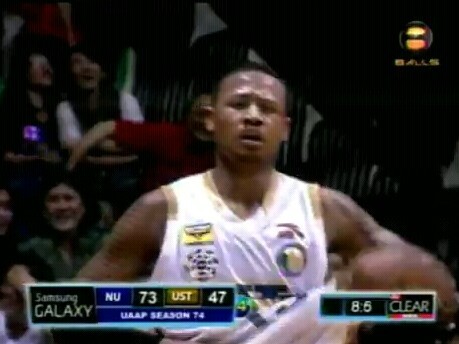 As an example of that statement, just recall the amazing flip shot that Bobby Ray Parks Jr. did in the last seconds of the 4th quarter in their game against the short handed UST Growling Tigers. That shot will be forever remembered by the people who saw it because it was amazing and it was done by a great player, Bobby Parks Jr. of the NU Bulldogs. Let's watch the replay video of that amazing shot courtesy of YouTube.